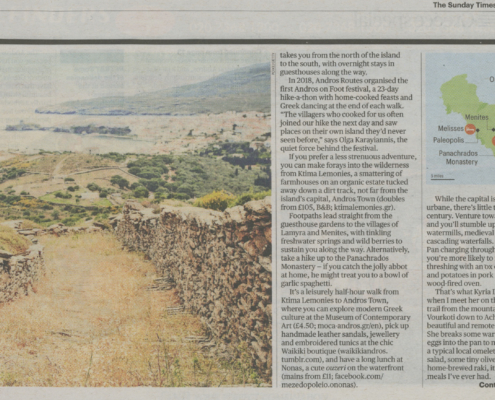 On 27 January the Sunday Times newspaper published a Special Greek Travel Section where one of the main features, written by journalist Rachel Howard, was a multi-page spread on Andros as the perfect hiking destination. 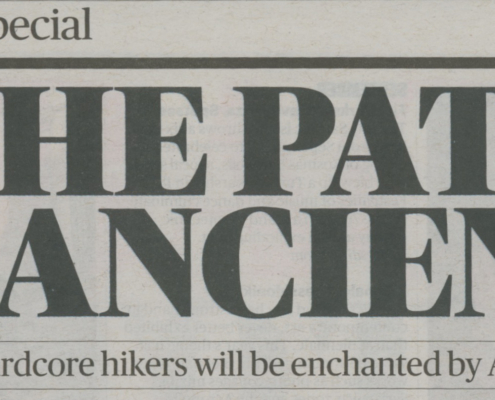 The article makes particular mention of the Andros Routes project, its work in preserving and promoting of the old paths of Andros, the European certification of the continuous 100km Andros Route and the 1st Hiking Festival “Andros on Foot Festival” held last October. 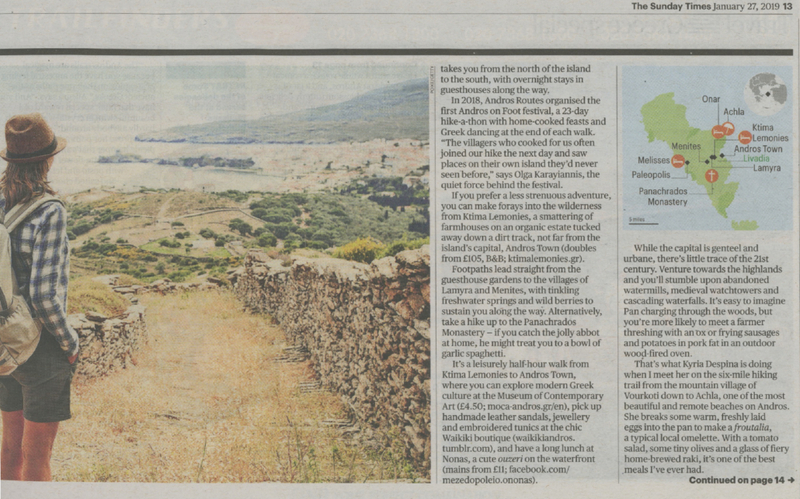 Andros, through the eyes of the reporter, is brilliantly presented as an ideal destination where one can experience a unique natural beauty and a fantastic variety of flavours that our fertile island can produce. 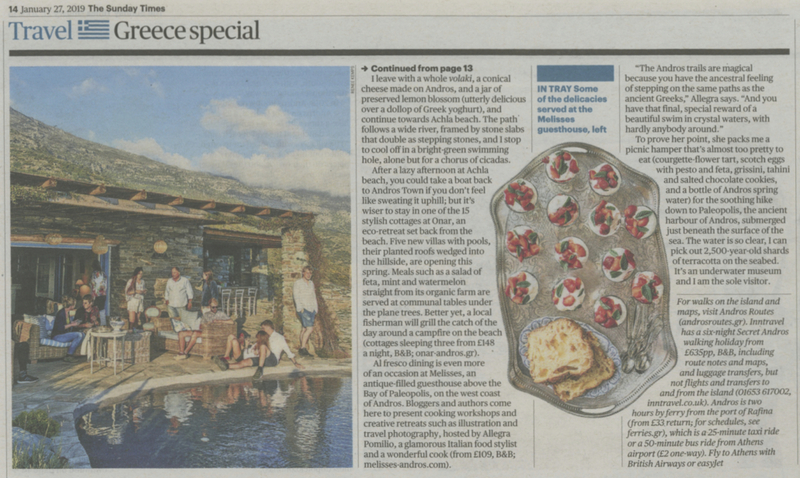 The article describes, among other things, providers of accommodation, food and culinary services and a selection of the journalist’s own experience on her last trip to Andros. 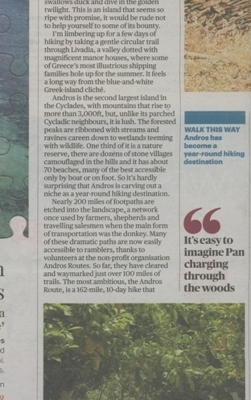 This publication adds to the growing recognition of Andros in quality international media such as the previous article on hiking in Andros in the Guardian newspaper in 2016. 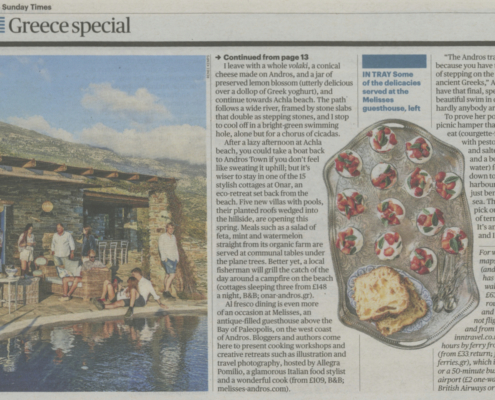 It is worth noting that the Sunday Times is read by 1.7 million people across the UK and North America.